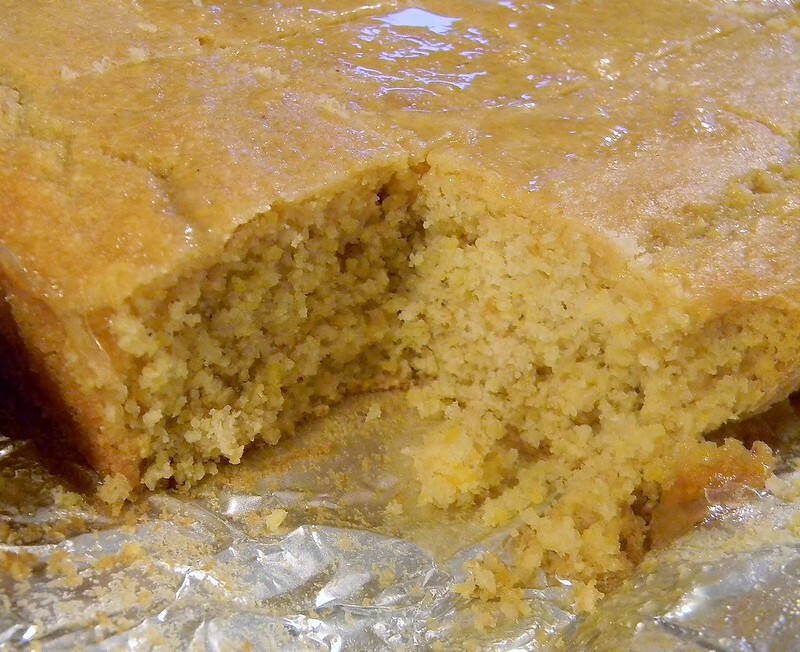 Glazed Semisweet Cornbread | What Smells So Good? Preheat oven to 400F and grease a 9" square pan. In a large bowl, combine egg replacer powder, milk, oil and applesauce until well combined. Add the flour, cornmeal, corn jelly, salt and baking powder and mix to combine well. Bake 20 to 25 minutes, until a toothpick inserted into the centre comes out clean. Cool 5 minutes, then brush liberally with melted jelly. Cool completely in the pan.